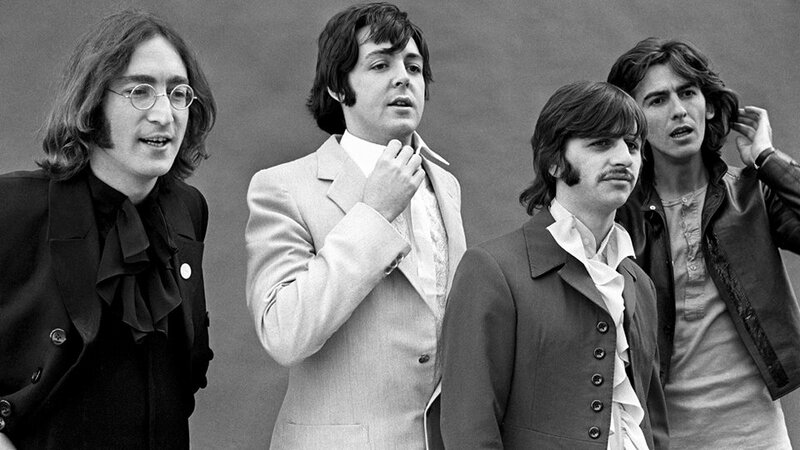 This year marks the fiftieth anniversary of the Beatles’ seminal White Album, a project unmatched in both diversity and peculiarity across the group’s entire catalogue. Part of the White Album’s mystique lies in its distended, labyrinthine track-list, thirty songs in genres spanning proto-heavy metal, folk rock, 1920s dancehall, and musique concrète. The Beatles had concluded that a single LP was simply insufficient, and that a second disc was needed to include all their musical experiments. They were not the first contemporary rock act to release a so-called ‘double album’ – Bob Dylan’s 1966 Blonde on Blonde takes that honour – but they were the first to push the concept to its limits. George Martin, the band’s famed producer, attempted to convince them to cut down to a single album to no avail. It was a statement under the guise of an album; a declaration of extravagance and artistic integrity never seen before or since. Fifty years is a long time in the entertainment industry, and much has changed since the White Album’s release. For a start, double albums have become obsolete, passé even; the heavyweight artists of our time rarely include more than the standard twelve-to-fifteen tracks per album. Virtually all the watershed releases of this generation have been single disc length. For Ed Sheeran, Beyoncé, Coldplay, or any artist of similar stature to release a double-length album today would be as bold and daring as when the Beatles first released the White Album. It appears that, with the progression of music consumption, the double album has been lost by the wayside. Why should this be the case when the main constraint of album size – physical disc space – has been rendered inconsequential by streaming? Could it be that the novelty of double albums has waned? Are listeners becoming less willing or attentive? Or is it simply the artists themselves becoming lazier? It must be noted that double albums and artistic integrity are not mutually exclusive. Again, the milestone albums of our generation are in the vast majority of cases single length. A prime example is Kendrick Lamar’s DAMN., which comfortably explores its themes of fame, faith, and racial struggle in only fourteen tracks. Rumours circulated online that Lamar was to release a second album – titled either GOD. or NATION. – to act as a continuation of DAMN.’s narrative only days after the latter’s release, but these proved to be excessively hopeful. Lamar released the collectors’ edition of the album several months later, the only change being the inversion of the track-list. Recording more songs does not always equal more value, so it is possible that artists simply do not want to sacrifice quality for quantity. Filling an album as tightly as possible seems less like treating your audience, and more like overcrowding or being self-indulgent. The double album represents the apex of this, which makes its decline all the more understandable. It isn’t necessarily the consequence of lazy artists, but artists being responsive to listening patterns of music consumers today. This topic cannot be properly addressed without considering the rise of music streaming in the past five years. Though physical formats such as vinyl LPs have experienced a renaissance of sorts, this is dwarfed by the market share of streaming services. According to the RIAA, over 60% of all music consumed in America is now entirely streamed through Spotify and its competitors. It would be sensible to assume that longer albums would be encouraged by this shift, as streamed music takes up no space, physical or digital. Even downloaded music has the theoretical constraint of device storage, whereas streamed albums need not even conform to that. But as previously stated, double albums have never been so unpopular with the mainstream. Perhaps there is some causal relationship between the decline of double albums and the rise of streaming. Artists feel less pressure to overindulge – if a fan wants to hear their work, they are now more likely than ever to listen to individual songs ahead of whole albums. Spotify gives users immediate and near-unrestricted access to artists’ whole discographies, a luxury that music fans of 1968 could only dream of. Listeners are not more inattentive than they were fifty years ago; they are connected to much more music and are invited to listen to it in whatever format suits them.